We found 5 episodes of Ask Noah Show with the tag “lubuntu”. 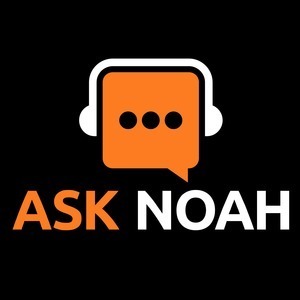 This week on the Ask Noah Show we tackle the difficult discussion - is it okay for companies to collect data and when should you be worried about companies having too much data? We interview Brian Martell who uses the finance aspect to get people on Linux. As always your questions go to the front of the line! Episode 64: Should I Buy a Chromebook? Google has everyone wondering, is what they're doing going to finally lead to the year of the Linux Desktop? Are we okay with Google being in charge with Linux on the desktop? 18.04 is out and we talk about our initial impressions. Simon Quigley the release manager for Lubuntu joins us this hour to break some exclusive Lubuntu news! As always your calls go to the front of the line.